Historical fiction author Sandra Byrd pens a new series, this time set in Victorian England. The first book, Mist of Midnight, tells of a young Englishwoman who returns from India only to find another woman claimed her identity and inheritance. 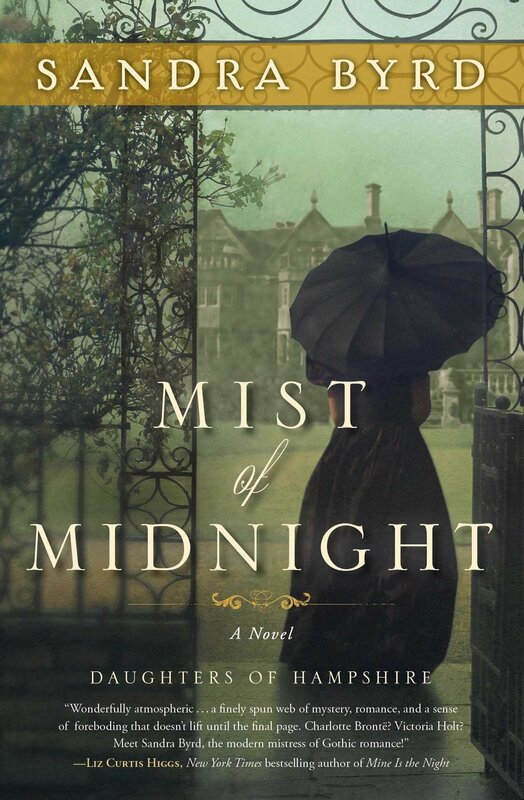 In Mist of Midnight, Rebecca Ravenshaw returns to England after her missionary parents are violently killed in India. But, another woman claiming to be Rebecca, returned over a year earlier, spending some of the inheritance. A few months later, the imposter committed suicide and was buried at midnight (the normal procedure for a suicide). Rebecca’s inheritance went to a distant relative — Luke Whitfield, who is now living at Headbourne House, the family estate. As Luke and her father’s attorney await verification of her identity from India, Rebecca finds herself falling in love with Luke – despite her good intentions. But does he really love her or her inheritance? Who was the imposter and why was she able to pose as Rebecca for several months? What happened to her Indian maid who disappeared when the imposter died? Byrd writes an engaging story, filled with the best elements of a Gothic romance, where the reader wants the hero to be the hero, even when the circumstances might not make him appear that way. This book had just enough chills to grab the reader’s attention and keep it until the spine-tingling conclusion. Even in the midst of the building tension and plot twists, Rebecca’s faith keeps her grounded and helps her overcome her fears. Watch for Byrd’s second book in this series, Bride of Poseidon, coming in 2016. Recommended for public libraries and school libraries, and fans of Bronte and Victoria Holt will especially enjoy it.